Chromatic aberration is something that any photographers in the audience will be very familiar with, also being know as "colour fringing". Typically a lot of photographers would edit this out of their images in order to have a more crisp and clear final image. 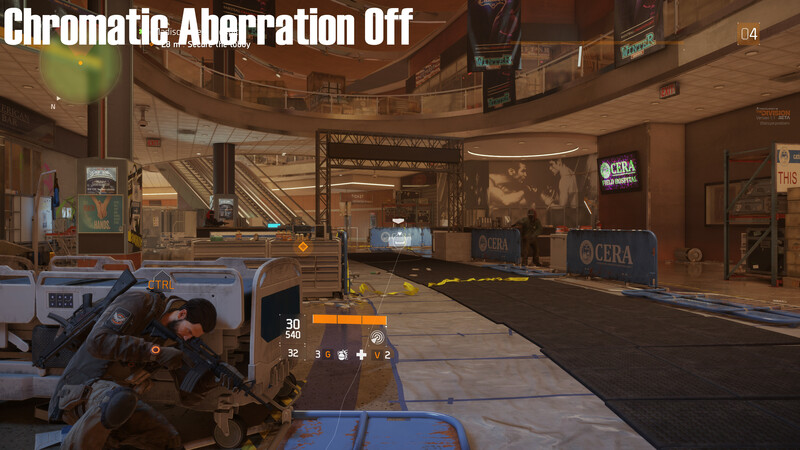 Recently we have seen a lot of developers integrate this effect into games, as when used correctly it can make an image much more realistic, but in many cases it can have the opposite effect and can in some extreme cases give gamers a headache or motion sickness like symptoms. Below is an image before and after the effect of chromatic aberration was edited out/toned down, making the image more crisp and removing the unwanted colourful haze at the edge of the tree. 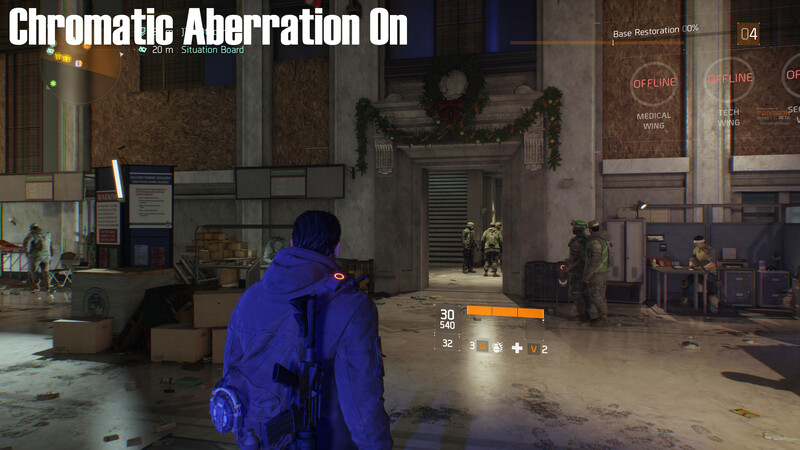 The Division makes use of Chromatic Aberration when the game is turned to it's medium presets or higher. 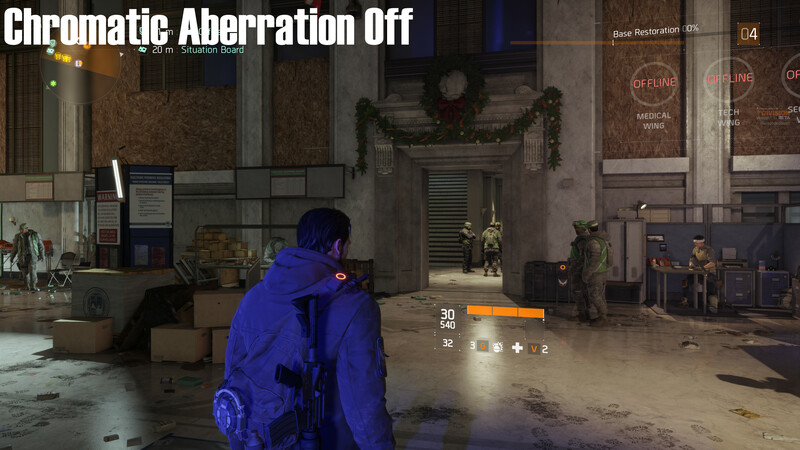 below are a selection of 4K screenshots which show the game at ultra settings with the effect turned on and off. I personally find this affect very annoying and will turn it off whenever possible, which thankfully we can in The Division, as the effect blurs the image in places where I would prefer for it to be in focus. 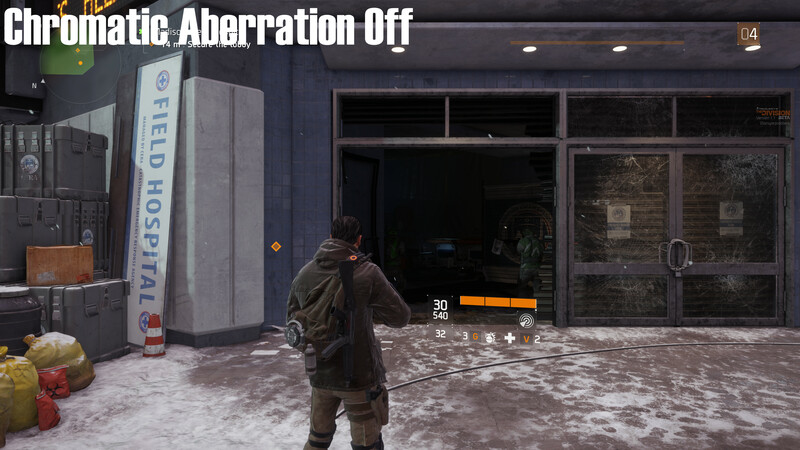 In some game like Dying Light this effect can cause motion sickness or headaches for some people, which is a real shame since the effect cannot be turned off in the game. 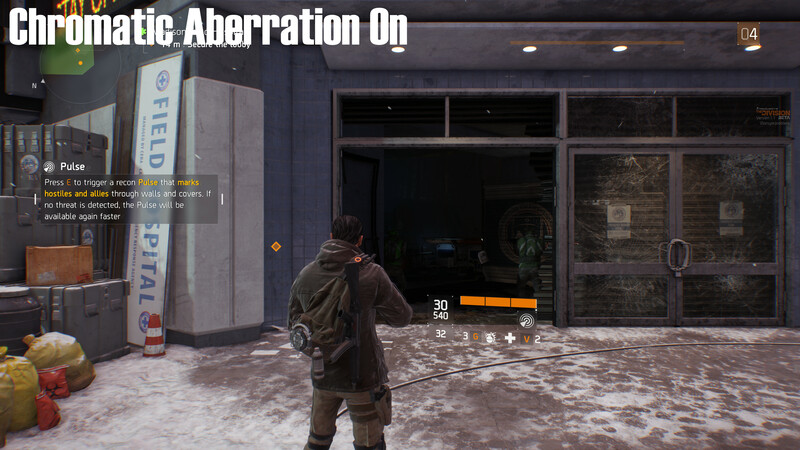 The effect of Chromatic Aberration has the potential to be both beneficial and troublesome when used in games, but thankfully it can be turned off by the user in The Division, so users can turn it on or off depending on their own personal taste.